Ira Polk from The Clearing Corporation Charitable Foundation at the event. Photo courtesy of Sussex County Community College. 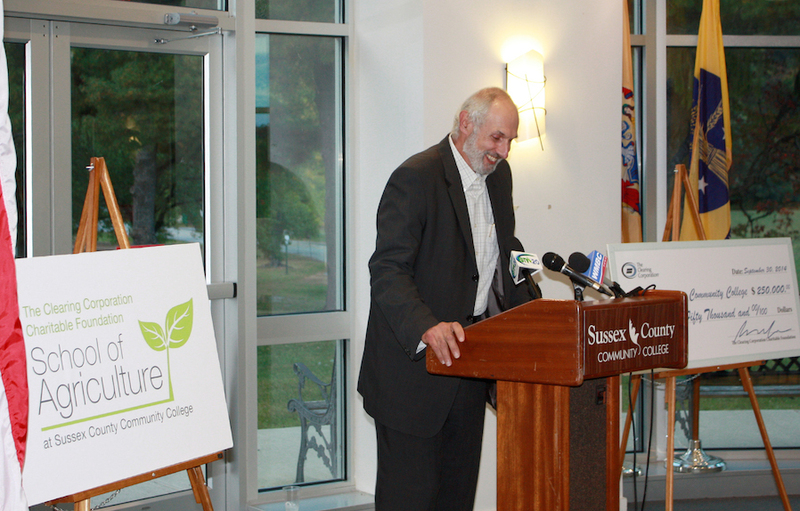 Newton, NJ – Sussex County Community College (SCCC) and the SCCC Foundation held a special reception on Tuesday, September 30 to announce the naming of the new Clearing Corporation Charitable Foundation (CCCF) School of Agriculture. During the reception, the SCCC Foundation also accepted a generous $250,000 gift to help provide funding for the program’s development and launch. Approximately 50 educators, the College leadership, VIPs in New Jersey agriculture, area farm owners, and SCCC supporters gathered in the SCCC Performing Arts Center to hear the exciting announcements regarding the naming and launch of a new agriculture program and the generous gift to support the program. These programs are now in development, and the funding received will be used for the new program’s faculty needs, greenhouse equipment, instructional supplies and marketing materials. The School of Agriculture at SCCC will bridge programs from the high school level to a bachelor’s and master’s degree offered through the College’s four-year academic partners, such as Rutgers University. The College’s mission is to ensure that it continues to offer programs that are vital to the community and that lead to continued educational opportunities and jobs. 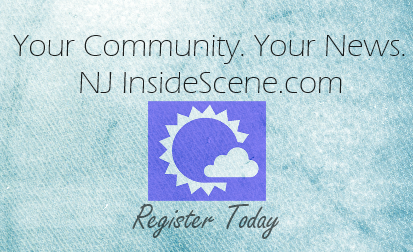 Editor’s Note: Click here for NJ Inside Scene’s coverage of this special event.